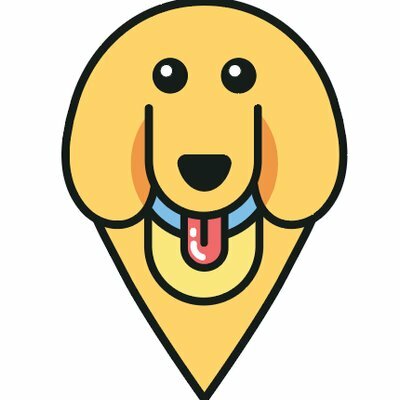 Summer is Here: How to Keep your Dog Safe and Healthy in the Heat – furevery – A powerful new app furevery dog parent, furevery dog and furevery dog business. We connect hands with paws. Here in Ontario, it seems like we’ve completely skipped Spring and jumped right into Summer! Of course we’re all pumped to put our parkas away and bring out the shorts and flip flops, but one thing we need to remember is that our dogs wear fur coats year round! With our excitement for the warm weather, we need to also take extra precautions to make sure our pets stay healthy and cool during the heat waves of summer. Here are some of our tips for enjoying summertime with your dog. 1. Shorter Walks - Ideally in Morning and Evening In the Summertime, we believe in going on more but shorter walks throughout the long days. We try and get out the door earlier in the morning before the scorching heat hits, then another shorter stroll middle of the day, a quick stroll when we get home from work and another longer walk in the evening when the sun starts to go down! This way our pups don’t overheat, but still get the exercise that they need. 2. Keep your Dog Hydrated In the heat, I find myself filling up the dog’s water bowls more and more often. Which is a good sign! Dogs need to drink more water to stay hydrated and cool themselves down when coming in from walks. We also love throwing in some ice cubs and carrying our dog’s water bottle with us on longer walks so our pooches never get dehydrated. Make sure your dog always has access to water, especially on hot days after long walks! 3. Cool your Dogs Off: AC, Ice Cubes, Fans We know that Air Conditioning can be a luxury that we take for granted. If you’re lucky enough to have Air Conditioning, it might be a good idea to be sure your dogs benefit from it. If you don’t have Air Conditioning, we’d recommend using fans and putting the fans in places where your dogs can hangout nearby. Ice cubes, swimming areas and kiddy pools are another great alternative to help quickly cool down your pups. 4. NEVER EVER Leave your Dog in Car It is 2018. We know that dogs can actually die from being cooped up in hot cars on hot summer days. There is NO excuse for leaving your dog unattended in a hot car during the summer months. If you are running errands with your pup, be sure to go to dog-friendly spots or please leave your dog in the comfort of your home. 5. Avoid Hot Sidewalks As you know, us humans get to protect our feet from hot sidewalks by wearing shoes. Which means, we can’t feel the scorching hot pavement or concrete. Dogs can. This is when it comes in handy to walk first thing in the morning or in the evening when the sun isn’t directly on the sidewalk. If the pavement or concrete is too hot for you, it is definitely too hot for your dog. If you can’t avoid hot sidewalks, consider booties or foot balm to protect your dog’s paws. 6. Groom Clean, untangled summer coats on dogs can help keep them cooler and ward off summer skin problems. Talk with your local Groomer to determine the best cadence and healthiest length to keep your dog happy and healthy! If you don’t have a go-to Groomer, check out top rated Groomers near you, in the Furevery app. 7. Watch for HeatStroke Symptons include panting, lethargy, drooling, fever, vomiting and collapsing. If you think your dog may have heatstroke, get to the vet ASAP. Breeds with shorter noses, like pugs, bulldogs and boxers and elderly dogs are more susceptible to heatstroke. Taking the above precautions should eliminate need for concern of heatstroke, but always be aware.